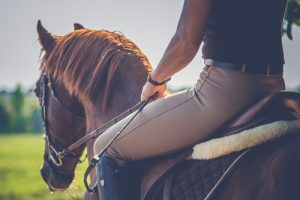 For the Horse, factors such as coming back from injury may require a temporary solution for increasing strength and integrity. For the Rider, it may be seasonal lease. As each Horse is unique, so are the needs of Individuals. We understand the risk of undertaking financial investment under temporary conditions. However, it is critical the Horse has correctly fitting equipment. The Health and Welfare of the Horse is the Priority. Rental fees are determined from the selected Model. If required, applications for financing option through the Help Card are available upon request. It is nothing short of amazing when a Horse is free from restrictions that impede their movements. Using correctly fitted equipment allows the horse to recruit their muscle system correctly. There will be muscle memory to overcome, there will be strengthening and lengthening to ensue. Increased muscle tone and integrity offsets resistance and fatigue. Thus begins a new order of "Go". There should be a dedicated trial period. There also may be the need for Contrast. To provide such, it may be required to expand your search and trial several models. For our Shop, Clients have the opportunity of using New or Pre-owned saddles for a 10 day period, as secured by credit card. This option allows adequate time to become accustomed to the equipment. Extending the trial period is charged per diem. To return the saddle, client is responsible for shipping, or saddle may be pickup for additional fees. 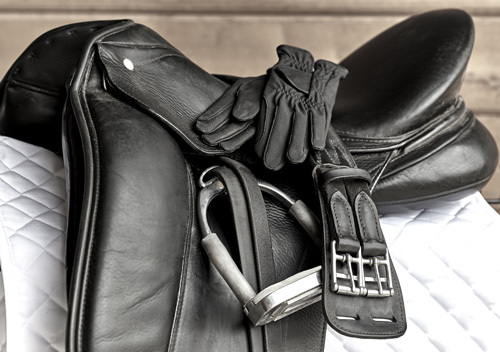 Client has opportunity to procure trial saddles from our recommended sources such as Hastilow Competition Saddles, Amerigo or Saddlery Brands International. As with our own Pre-owned models, Hastilow Competition Saddles is dedicated to the Society of Master Saddlers protocol and carries SMSQSF inspected New and Pre-owned saddles; drawing from HCS' expansive and varied inventory, allows the client to feel confident that their saddle has been examined and meets SMS high standards of craftsmanship and condition. Please reference Consignment Page as to the importance of Saddle Trees and Panel Configurations, as well as the Pro & Cons of New and Pre-owned models. Clients are responsible to honor individual terms and restrictions and for shipping and handling charges. Please see our Saddle Fitting page for more information. Submit an inquiry for more information about pricing and available saddles.